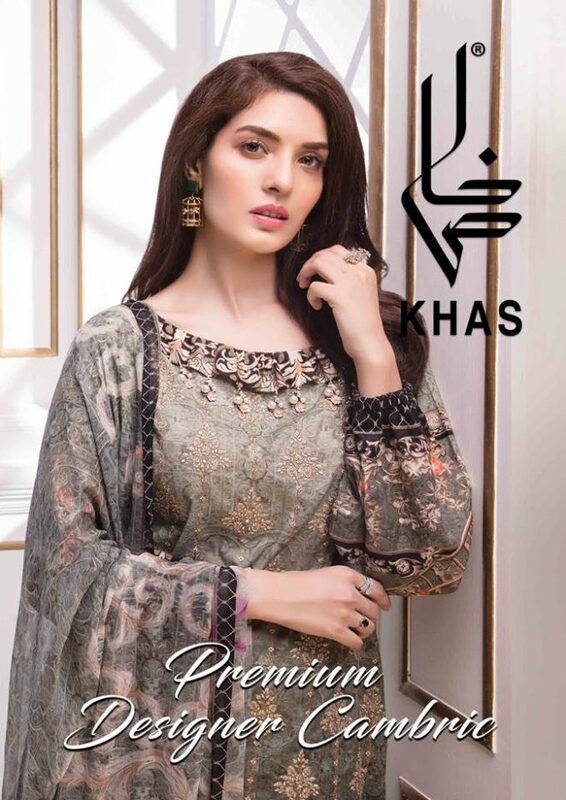 Khas Store Premium Collection 2019 With Price, Khas Store’s enraptured to present to you the Catalog of our first Premium Designer Cambric Collection of this spell. Which brings you rich textures and a play on fall colors. Have a look and pick your favorites today! Available in stores and online. Shop at https://www.khasstores.com. This year KHAS premium lawn collection is sure to stun you with its vibrancy in colors and variety in designs using silks, chiffons, and intricate embroideries to accentuate the supreme quality fabric.Khas premium lawn collection is sure to stun you with its vibrancy in colors and variety in designs using silks, chiffons, and intricate embroideries to accentuate the supreme quality fabric. Find your favorite designs as the collection hits the stores and online at Khas Store Premium Collection khas dress in PKR 4,700. The dedicated team also provides the personal consultation to customers allowing them to make better purchase decisions, which lead to a memorable shopping experience. Khas Stores seem to be a great addition to the existing home-store landscape with their prime focus on customer satisfaction, which they ascertain by catering to individual needs. 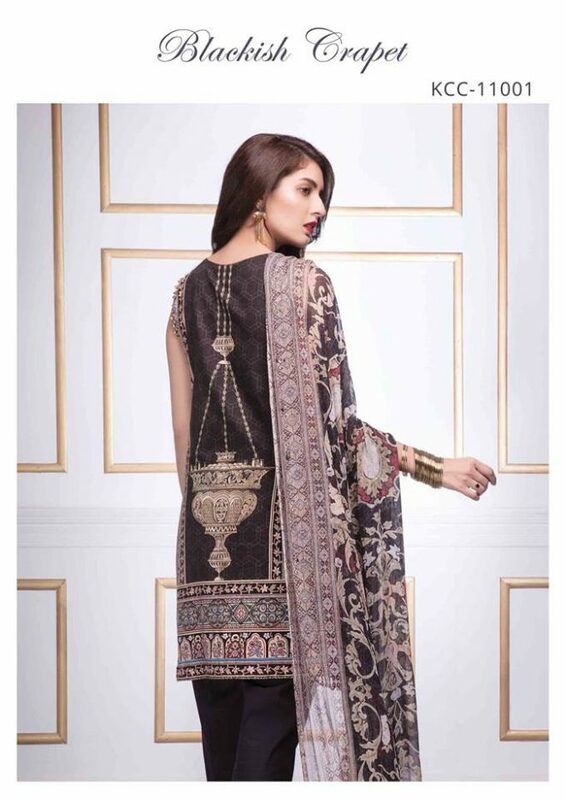 This khas dress is available in PKR 4,500. 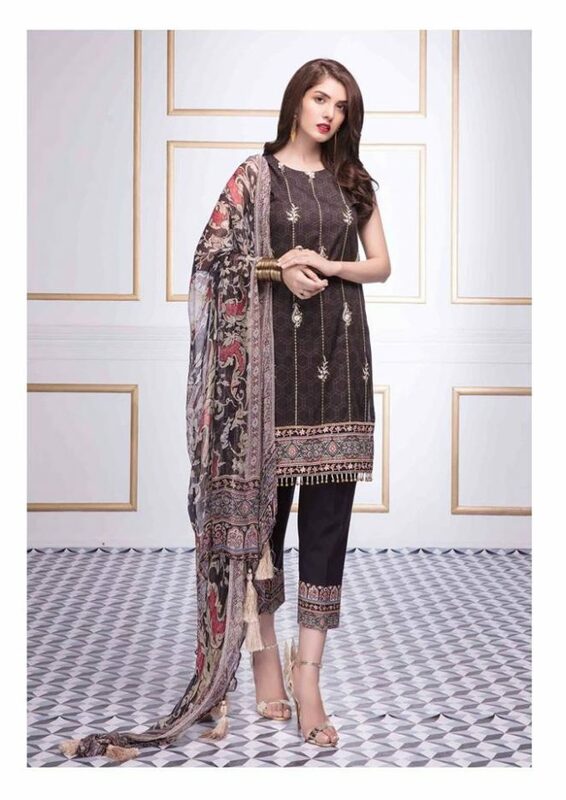 4 PCs Digital printed lawn suit with embroidery and pure chiffon dupatta and dyed Lawn Trouser Pure Chiffon Dupatta 2.5 m Premium Lawn Shirt Front 1.25 m Premium Lawn Shirt Back 1.25m Premium Lawn Sleeves 0.75 m Lawn Trouser 2.5 m.
The Ultimate Blend of Chic Hues Expressing The Majestic Balance Of Eminence And Finesse. This Collection Is Specially Dedicated To Winters Of The Subcontinental Region. To deliver the best product in the industry to our customers, in the very best possible way. We will proactively build and contemporize our house-brands on clearly defined platforms to satisfy consumer needs. Building on a tradition of excellence started by Sadaqat Limited for over half a century ago, our mission is simple. To deliver the best product in the industry to our customers, in the very best possible way. Step into our serene stores today and begin to live your home dreams. At KHAS, we value the relationship we build with our customers. 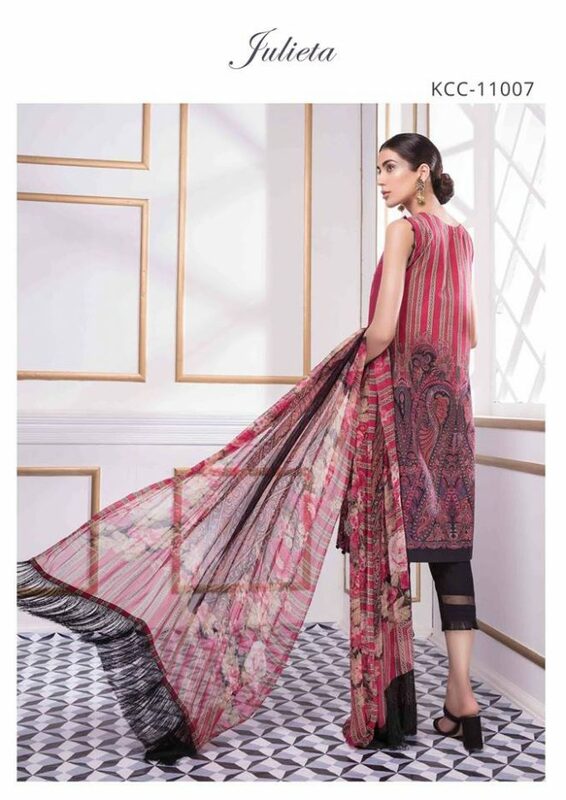 Exuberant Chiffon Collection By Khas. The Ultimate Blend of Chic Hues Expressing The Majestic Balance Of Eminence And Finesse. This Collection Is Specially Dedicated To Winters Of The Subcontinental Region. Khas’s Embroidered Chiffon Collection features fine textures and delightful embroidered patterns fused with contemporary ethnic designs. 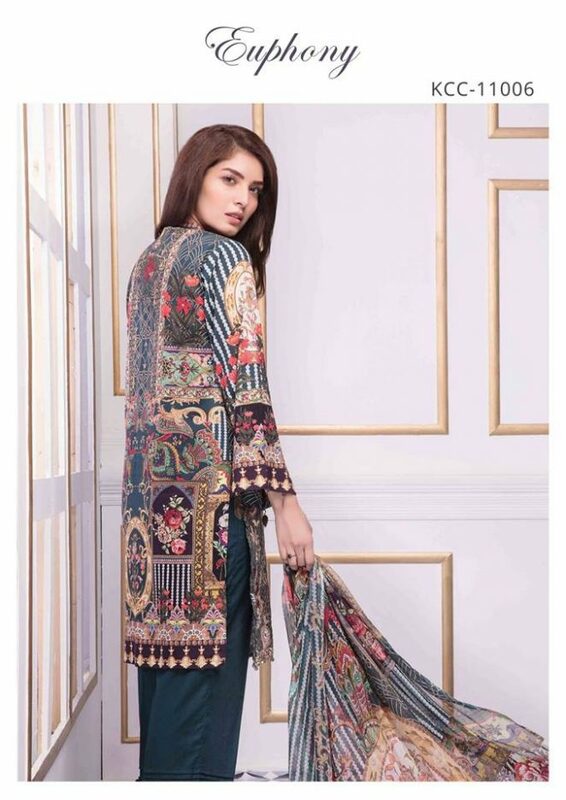 Khas Embroidered Chiffon 2018, sharing complete catalog Premium Chiffon Collection for Women. This Khas Collection 2018 contains beautiful Khas dresses 2018 to fill your wardrobe. Each print is designed with a separate combination of colors which create new shades and hues. Your one-stop solution for all your home needs, from textiles to pottery, KHAS offers something for every mood and style. Building on a tradition of excellence started by Sadaqat Limited for over half a century ago, our mission is simple. To deliver the best product in the industry to our customers, in the very best possible way. Step into our serene stores today and begin to live your home dreams. At KHAS, we value the relationship we build with our customers.